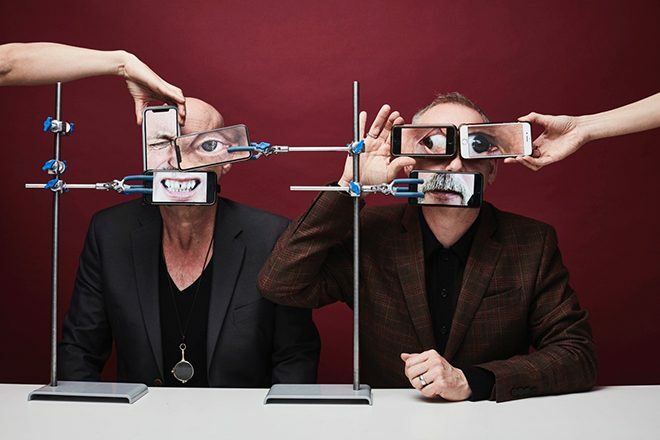 Listen to Orbital's rework of their politically-charged track 'P.H.U.K.U.' - Pop It Records - NEW MUSIC EVERYDAY! Reimagining 'P.H.U.K.' from their nine-track album, brothers Paul and Phil Hartnoll have transformed the politically-charged track into a darker translation and added a new mix from Steve Dub. "We] went into this remix with the idea to focus on the breakbeat part 'P.H.U.K.' and start with the breakdown," says Phil. "This is the result those ideas." The original track tackled the heated status the UK's political climate and Brexit, mimicking the anxiety felt by many through tense, frenetic sounds. After splitting in 2012, Orbital took a six year hiatus and are now back on the map with their upcoming 'Monsters Exist' release.